The program won't recognise the database, even though it is in the correct folder. What can I do? 1. Rename your main Database folder (add a 0 the end of the name, for example). 2. Run the installer again and create a Demo databse. 4. If you see a prompt to update your database version, run the installer again (do not rename or otherwise alter the database folder) and select "do not install database". 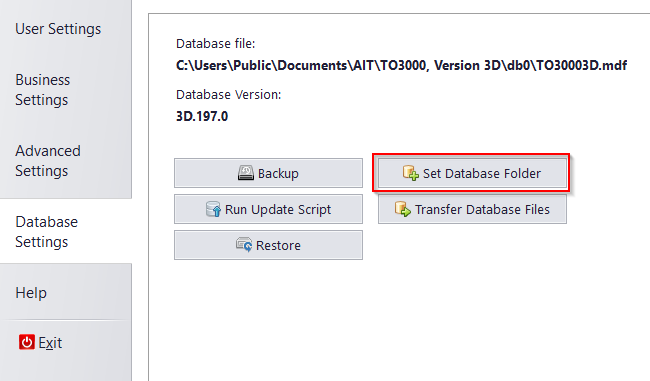 The program will automatically apply the required updates to the database. 5. Delete the folder with the Demo database (optional).